This piece is written by guest blogger, Michael Landress of the Beach Beach Fire Department. 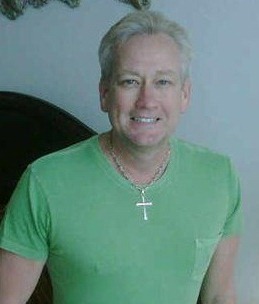 In early 2007, Rescue No. 4 (C-Battalion) responded to a medical emergency in the southeast portion of the city just north of Woolbright Road. Upon arrival, they found an elderly male patient named James Irvin Lacey in slight distress and complaining of chest pain. 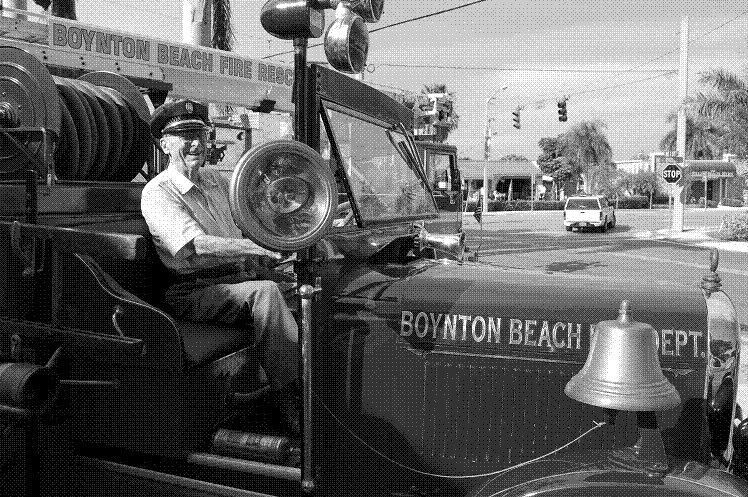 As our paramedics performed their assessment and initiated treatment, the eighty-eight year old man exclaimed he was once a fireman for the Town of Boynton Beach. He was then transported to JFK Medical Center, where he was treated and released several weeks later. As I knocked on the door and waited, I couldn’t help but think of the memories he may share. I was about to step back in time of our fire department’s history and gather valuable tidbits of information from that era in an effort to enhance the project. Aside from the memoirs of A.R. Cook [an original founding member], there really was no information in the city’s archive regarding the early years of our fire department. When the door finally opened, a shirtless, wiry, old man was standing there and welcomed me in. He offered me a seat and first spoke of his house — a quaint old Florida block home he purchased in the 1950s. He talked about his lovely wife who passed away in the early 1980s and he explained that he left everything, including the décor, just as it had been when she died — he never remarried. He was then eager to share memories of the fire department and we spent the next two and a half hours talking shop. Once James began to reflect and speak, he was unstoppable. I could see the gleam in his weary eyes when he recalled something humorous. He would crack a smile and shake his head. He boasted with clarity of the Jungle Inn fire of 1946 [his fondest firefighting memory], and spoke of the Kwik Chek grocery store blaze in 1961. James mentioned the countless motor vehicle accidents that occurred on Federal Highway and he spoke of the wonderful personalities of his coworkers. Feverishly scribbling notes, there was just no way could I document all of his wonderful stories. Many of those unshared memories he would ultimately take to his final rest and that’s my only regret. James donated the cap and it is now on display at Boynton Beach Fire Rescue Department’s Fire Station No. 5. It was evident to this firefighter, that even after all these years, Fireman Lacey remained extremely proud of his tenure with our fire department. James Irvin Lacey passed peacefully in 2010 at his home, just as he left it. This blog does not directly tie to Boynton history, but I found it while looking for information on a 1913 Boynton news event. The only South Florida online paper from that era is the Daily Miami Metropolis; the Palm Beach Post does not appear until 1916. 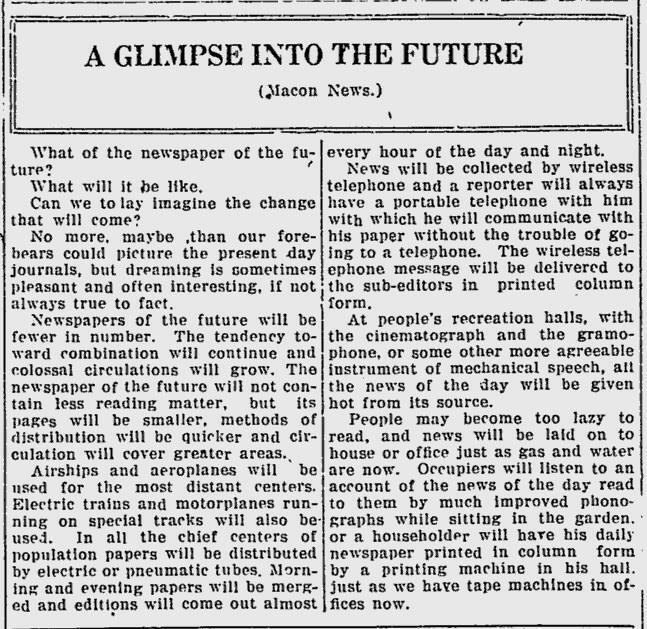 I was scanning the headlines and saw an interesting title “A Glimpse of the Future;” the writer was making predictions on the newspaper of the future, as seen by the Macon News. I thought this would be a good chuckle to see some fanciful musings of our future life. But what I found was a prophecy that would make Nostradamus jealous. “…its pages will be smaller, methods of distribution will be quicker and circulation will cover greater areas” – Newspaper pages have certainly shrunk in size. “Morning and evening papers will be merged and editions will come out almost every hour of the day and night.” – There are no more evening papers with the Internet, cable TV and the 24 hour news cycle. There is no byline in the article, so the prophet will remain a mystery. So what is your prophecy for the newspaper 100 years from today? The complete item from September 2, 1913 appears below.